Keeping one black goldfish absorbs negative energy. In feng shui, numbers are always important and it's not different when it comes to the popular feng shui tool of fish. You can use fish either in a koi pond outside your home or in an aquarium inside your home. Both uses are auspicious. 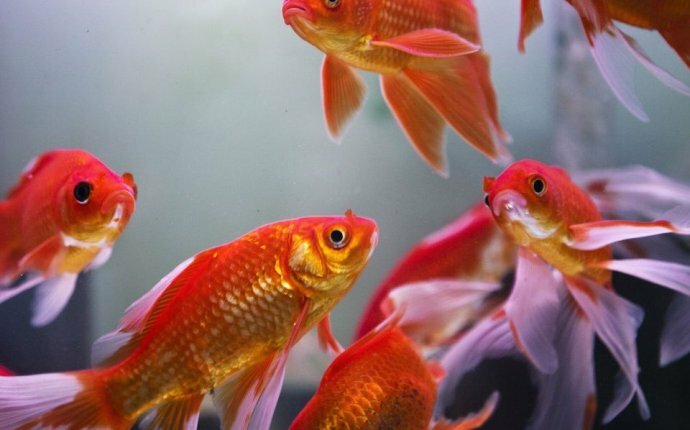 The best combination of nine fish in an aquarium is eight goldfish or Arrowana fish (often referred to as a dragon fish and is best used in a koi pond due to grown size of over four feet) and one black-colored goldfish (black moor). With the combination of eight red and one black fish, the fish symbolize prosperity, energy and good fortune. The number eight is the major prosperity number for feng shui practices. The one black goldfish is most important since its purpose is to absorb any negative energy that enters your home. The black goldfish therefore becomes a symbol of protection. If the black fish dies without any known cause, such as under-oxygenated water, overfeeding or lack of food, it is believed that the fish died from absorbing bad luck that was meant for you. In fact, many people believe that if any fish in the tank dies without a justifiable cause, then its sacrifice was to spare you the bad luck that was headed your way. You want to always remove a dead fish from the tank immediately and replace it as soon as possible. There are many practitioners of feng shui who give their dead fish a nice burial and say prayers or mantras for them. It's common knowledge that black fish die more often than the goldfish; there are some biological explanations, such as the moor has poorer vision and cannot compete fairly for the food. In addition to choosing the number of fish to care for in your feng shui aquarium, proper placement of the fish tank is very important. The purpose of an aquarium is to add or activate yang energy and this is done by the fish with their constant swimming. Water is yang energy, but its the movement of water that creates the yang energy. Generally, the best area to place the fish tank to activate prosperity and wealth is the southeast sector of your home. A fish tank should never be placed in a bedroom, the kitchen, or in the center of the house. Both the bedroom and the kitchen are yin (passive) areas and a fish tank is very yang (aggressive). Since the bedroom is a room for rest, placing a fish tank there would create too much yang energy from the fish swimming around the tank. This would cause a very restless sleep. Placing the tank in the kitchen would also stimulate the yang chi energy too much, causing you to eat excessively. The center of the house is not a good location for a fish tank, either since according to the Book of Changes water in the middle of the house means you will have a lot of problems and difficulties.